MYH238 "The Only Way is a J"
The story of a 1952 van, a work in progress in every way. At long last the final push is underway to get "The MYtH" back on the road. Hello Morris J/JB AND 101 owners. The only way is a 'J' ! I will hopefully updating this Blog on a regular basis very soon! Using more older photos of MYH and new photos. This is my first post as owner of the MYtH ! Just to start with here are two photos then and now. MYH238 Barn in Sussex 1992. Views of the van just a week before the Wythall Rally. The original rear number plate back on the van, they have been parted now for over 15 years. Engine modifications include electronic ignition and a nice SU carb. Better starting and MPG also as the throttle is now cable operated a much smoother and lighter pedal. A bit rough around the edges and almost ready. Wythall rally pictures to follow shortly and yes it did make to the show. and bobs. Fit the windows to the doors. Connect the wiring. the road before April 2012. Head lamps and side lamps fitted. It looks like a van now. (just rough around the edges). So in true Blog fashion read from the bottom up. Progress as of 3/9/2011. Hand made new gearbox mounts next to an original pair, can you spot the old ones? MYH 238 in use at an event with its sister vehicles.. The History of "The MYtH". 1952 first owner Mr.R.Berthoud. Van sign written JAMES ADDISON.DECORATIVE FLORISTS. Phone PARK 4377, then the name changed to Addison Nurseries DECORATIVE FLORISTS. Phone PARK 4377. They owned/used it until the 1970's. It's a London van! Their base was in Addison Road, West Kensington. Would have been seen at Farnborough and Paris air show in the 50's. They also had a LD Box van and a Minor van 866 YMX. MTR, The J type specialist bodyshop. Stan the Van 289VMG. restoration. JB's JB. Australian Rally pictures. HDU 072. Restored Australian van. HBF263 Tipper JB. UK restoration. Victoria Canadian ground up restoration. 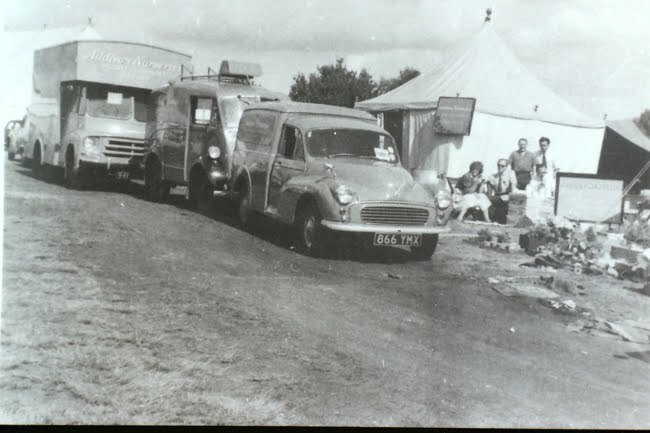 Buglyvan, now the Cadbury van. Blackshed. Nothing going on here.. The MYtH Now on the road. ONY 52 Mini-Bus Awaiting a kick start. Selection of J type VIDEO's! MCJTV The J type Van owners forum site. This is a technical site for van owners only.